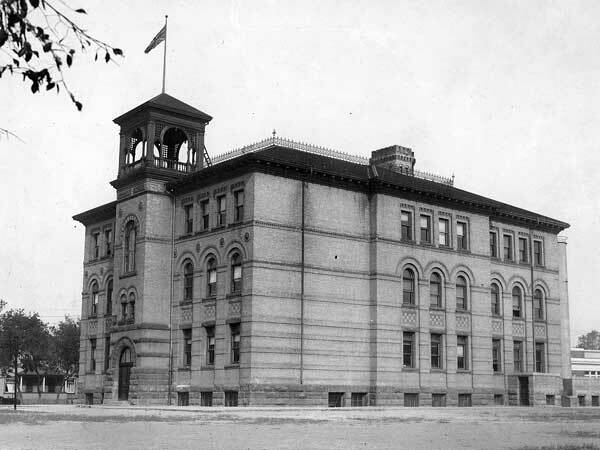 Designed by local architect W. T. Dalton and built in 1882, a two-classroom frame building in the Point Douglas area of Winnipeg was known as Euclid School or North Central School. Demand for space grew quickly and it was soon expanded with six more classrooms into a two-storey, brick veneer structure. 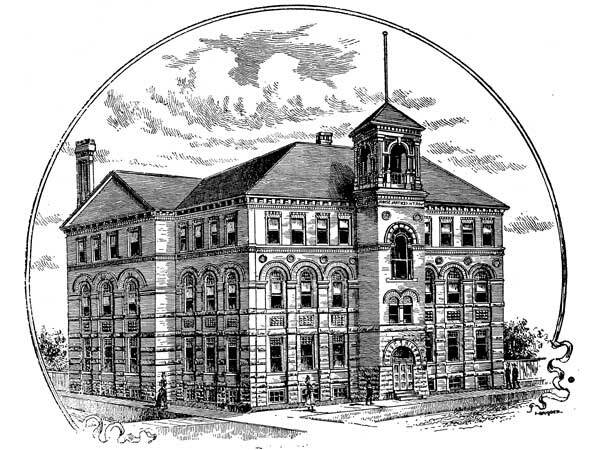 On 14 January 1892, a fire broke out in the school’s basement while classes were in session and 550 students were forced to evacuate into subzero temperatures under the supervision of Princpal J. H. Mulvey and Superintendent D. McIntyre. The building was completely destroyed. 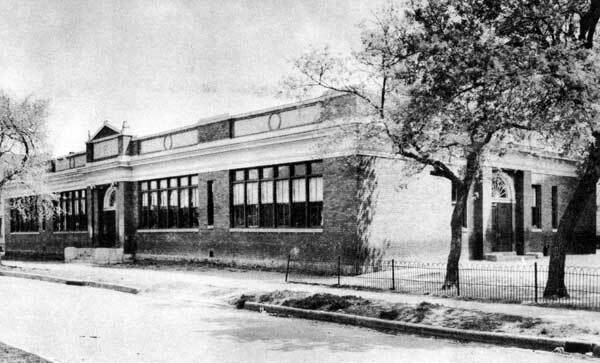 Its replacement, built later that year, was renamed Norquay School in 1898, to avoid confusion with Central School No. 1 (Victoria School), Central School No. 2 (Albert School), and South Central School (Carlton School). The name commemorated early Manitoba premier John Norquay. Designed by local architect George Browne, the three-storey building was expanded in 1902, and further renovations were made in 1911 by Worswick Brothers. A companion building, known as Norquay School No. 2, was built beside it in 1920. The school building was demolished around 1956 and replaced with the present structure. Some noteworthy students who attended Norquay School were Lieutenent-Colonel “Bert” Gillespie, R. J. Shore, J. N. Semmens, Fawcett Taylor, Dr. Frank Smith, Dr. Graham Wilson, Dr. Charles Hollenberg, Jacob Hollenberg, A. J. Andrews, Harry Thompson, Robert McKay, A. M. Shinbane, and Helen Palk. Among the other teachers of Norquay School was Mary Walker Dobson. Source: Winnipeg School Board, Annual Report 1894, Legislative Library of Manitoba. Source: Archives of Manitoba, Winnipeg - Schools - Norquay No. 2 #5, N8668. “A school in ashes,” Manitoba Free Press, 15 January 1892, page 6. “$29,000 alterations to Norquay School,” Winnipeg Tribune, 26 July 1911, page 8. “Winnipeg schools, No. 2—Norquay,” Manitoba Free Press, 19 October 1922, page 9. “Norquay sits where Selkirk Settlers once sowed grain” by Claire Tisdale, Winnipeg Free Press, 1 February 1949.